Antonio Green is transferring out of the UTRGV basketball program. News of Green’s transfer was first posted on Twitter by ESPN’s Jeff Borzello (@jeffborzello) on Friday night. Green retweeted the post from his account, @AMGJ55. Green, a 6-foot-2, 165-pound guard from Tupelo, Mississippi, ranked second on UTRGV with 16.7 points per game as a sophomore in 2016-17, hitting 111 3-pointers to lead the WAC and rank 12th in the NCAA. He also averaged 3.3 rebounds per game. As a freshman, he averaged 11.6 points and 4.2 rebounds per game to earn WAC Freshman of the Year honors. Amid his standout play on the court, Green has dealt with adversity in his personal life. On Feb. 14, 2016, during Green’s freshman season, his 20-year-old brother, Terrence Thompson, was shot and killed in Memphis. Green was raised in a single-parent home by his mother, Tiffany McClain, and has a 3-year-old daughter, Azyla Marie, who was born when Green was 17. For his achievements through hardship, Green was in January named a finalist for the United States Basketball Writers Association Most Courageous Award. The Vaqueros finished last season 10-22 under first-year coach Lew Hill, marking a fourth consecutive season with 10 wins or fewer. 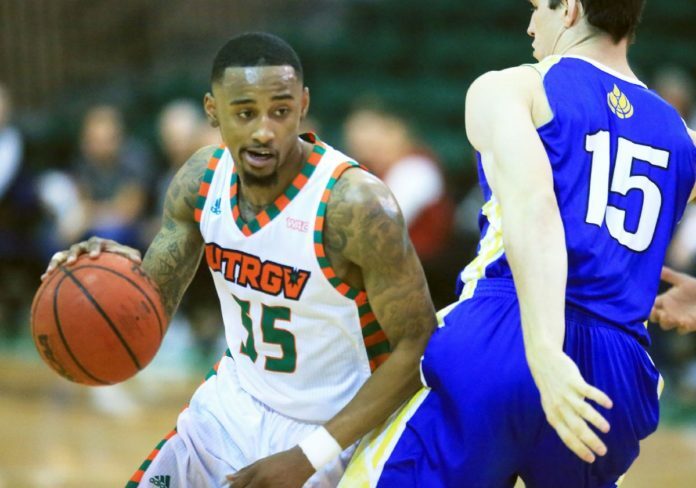 UTRGV is set to return leading scorer Nick Dixon (18.8 points per game in 2016-17) and starting point guard Lew Stallworth (8.6 points per game) in the backcourt next season. The Vaqueros also bring back reserve guard Moe McDonald and will welcome freshmen Greg Bowie and Javon Levi to the backcourt rotation.